Rebecca Loebe and Findlay Napier met on an EFDSS songwriting retreat in Aldeburgh, Suffolk. “Sometimes when you get thrown into a co-write sessions things just click.” Says Napier, “This was one of those times.” Over the last 18 months they have written together down the line from Loebe’s base in Austin, Texas and in Findlay’s Glasgow flat when Rebecca was touring the UK. 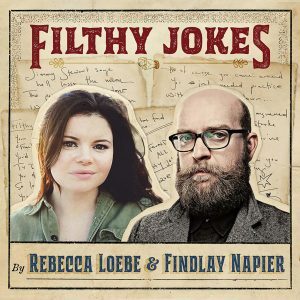 The ‘Filthy Jokes E.P.’ is based around a song the two wrote for Christmas 2017 – Joy To The World, I Guess – which combines the lilting Americana influenced tones of Loebe’s polished delivery along with the more traditional folk influences of Glasgow native Napier. For any fan of these two songwriting behemoths, this E.P. is a must, Rebecca Loebe is known as a non-stop touring machine, averaging 200 performances per year for the last decade. Along the way, honing her voice to become a musical instrument in itself. Scottish singer-songwriter Findlay Napier categorically commands musical VIP status and his gritty tales of Scottish life, based in and around Glasgow, have become legendary among the Folk circuit. Joy To The World, I Guess and Bad Medicine see the duo add their own unique idiosyncrasies to two beautifully crafted songs, their songwriting prowess there for all to see and hear. 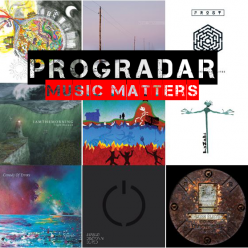 There’s a languid and laconic ease to the music and the vocals match that feel perfectly. It’s a perfect amalgam of American polish along with superbly delivered Scottish grit. Kilimanjaro sees Loebe take centre stage with a haunting, ethereal piece of music that really leaves a mark on your soul, Napier’s ghostly backing vocal and the simple guitar providing the perfect backing. Option to Buy sees Napier at his witty best with sharp lyrics and brilliant music being the core of his traditional folk style. This time Loebe adds the classy country influenced backing vocals to give just a little bit extra. There’s a proper country music, bluegrass edge to title track Filthy Jokes, Loebe adding the required twang to her delicious vocal delivery which, along with that picking banjo in the background, leaves you feeling as if you’re in the deep south. The E.P. closes out with an excellent reprise of the opening track. This collaboration is a glimpse into the combined songwriting minds of two of folk and country/Americana music’s most accomplished artists. A delightful appetiser to what they could achieve if they wrote long-term together. It’s a wonderful twenty minutes of sublime vocals and superb musicianship and one that should be in any music fans collection and, as an introduction to Napier and Loebe, is just about perfect.